Examples, solutions, videos, games, activities and worksheets that are suitable for GCSE Maths. The following figure shows how to derive the formula for the nth term of a quadratic sequence. Scroll down the page for examples and solutions on how to use the formula. The following figure shows how to derive the formula for the nth term of a cubic sequence. Scroll down the page for examples and solutions on how to use the formula. 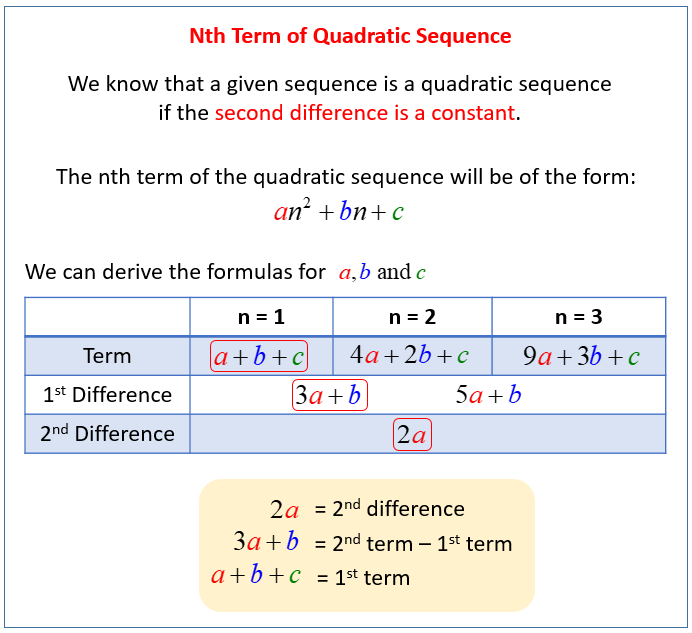 How to find the nth term of a quadratic sequence? (a) The nth term of a sequence is n2 - 2n. Work out the first three terms of the sequence. (b) Work out the nth term of the sequence. What is the nth term of this quadratic sequence? How to derive the formula for the nth term of a cubic sequence? 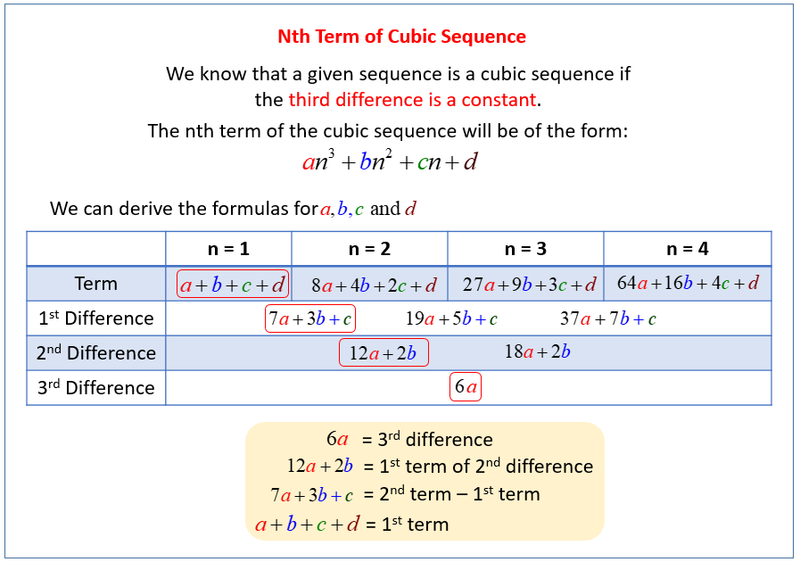 Find the nth (general) term of a cubic sequence by using a method of differences. What is the nth term of this cubic sequence?